But that never made an ado for you to crack, sweet-heart. Though valentine’ous threats had’me greeting with bloody spears. Yet continued I, to love you, with no fears and nil peers. Quality is Implicit. 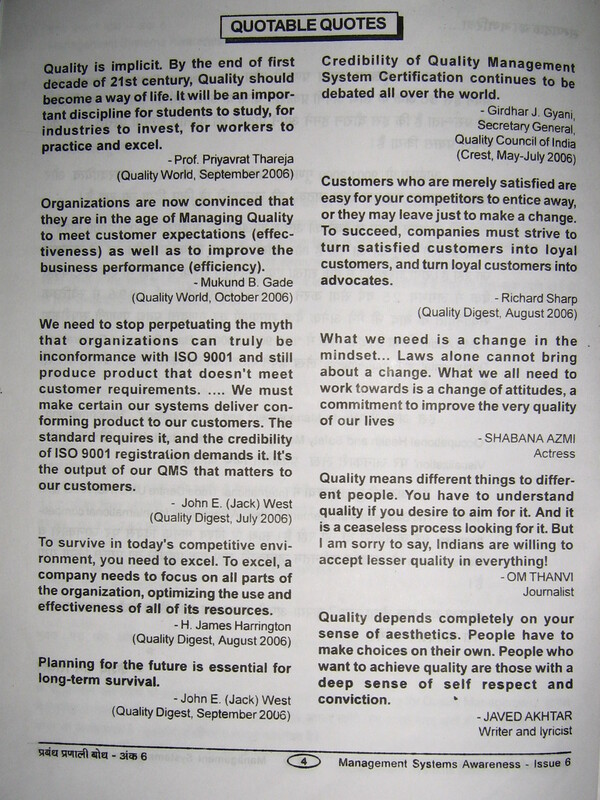 By the end of First decade of 21st century, Quality should become a way of life. It will be an important discipline for students to study, for industries to invest, and for workers practice and excel. Also look for posts of Shabana Azmi, Bollywood actress, Girdhar J Gyani (Quality Council of India, QCI etc), John E (Jack) West (Quality Digest etc in same jpg pic.